Lovely little gig at The Tin last week! Nim Chimpsky band members were switching instruments a lot so it was difficult to keep up! Sorry if that sketch in particular looks a little unfinished compared. Thanks again to everyone who bought zines from my table at Future Days this weekend! 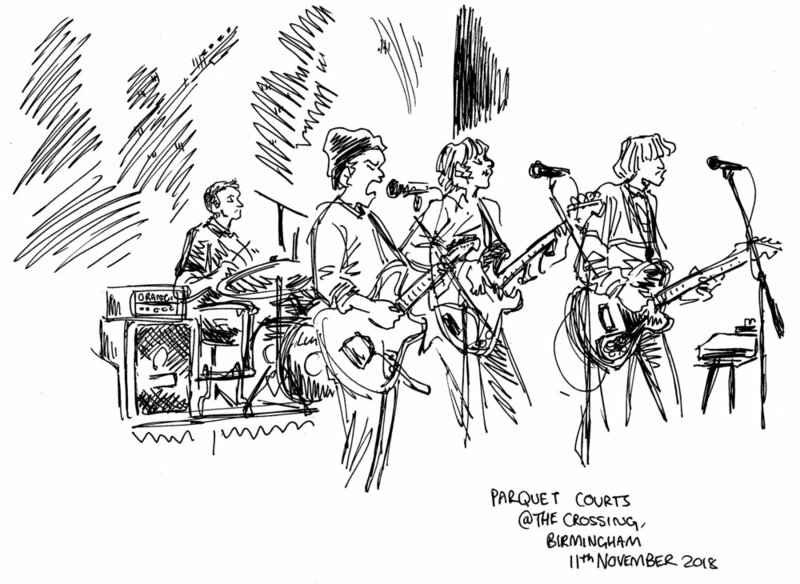 Sorry if I missed you when I was sketching bands! I have an online shop with a bigger range of comics here. My next comic con is also in Birmingham! - I’ll be at the NEC for MCM Comic Con on 24th-25th November 2018.